Casa Sandoval, the premier retirement community in the Bay Area, is located in Alameda County, California. Featuring more than 200 apartments of various sizes and layouts, Casa Sandoval has all the necessities so that residents can lead a healthy lifestyle during their stay. The main building at Casa Sandoval boasts a wonderful view of the San Francisco skyline. The on-site features at Casa Sandoval allow residents to have an active social life without the need for extensive travel. Highlights of the Casa Sandoval experience include a complete game room and an all-purpose exercise facility. Casa Sandoval is home to an extensive library featuring computer access at no charge, as well as a live theater area. Unique feature like a classic ice cream parlor and furnished billiards lounge are luxuries that will attract both Casa Sandoval residents and their visitors. A series of arts and crafts activities are scheduled weekly. In the common area, Casa Sandoval houses a library with historical books and best-selling novels. Casa Sandoval also provides free cable service to all residents. A diverse array of amenities that include an exercise facility, covered parking and regular housekeeping adds to the comfort and charm of the Casa Sandoval experience. Beautician and barber services are available to Casa Sandoval residents who need a trim or even a brand-new hairstyle. At Casa Sandoval, an executive chef designs and prepares a full slate of tasty and nutritious meals that promotes the residents’ good health. The Casa Sandoval kitchen dishes out breakfast, lunch and dinner, along with a wealth of delicious desserts. 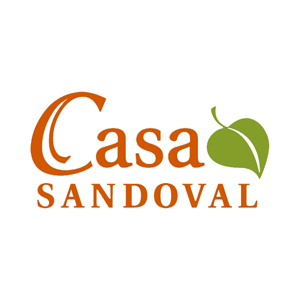 Casa Sandoval residents can elect to book the private dining room for more intimate affairs. Casa Sandoval is conveniently located near highways 92 and 101 with easy access to the Hayward Senior Center, and welcomes all individuals over the age of 60. Through Casa Sandoval, the center presents numerous educational opportunities, and staff members coordinate tours and day trips around the area. Casa Sandoval recommends visiting the area’s peaceful Japanese Garden, which gives guests a taste of Oriental culture. The beautiful koi pond offers a scenic view, and a traditional Japanese tea house serves up relaxation and refreshments to Casa Sandoval residents. Another popular habitat close to Casa Sandoval is the Creek Nature Center, where nature study courses and volunteer programs are provided throughout the year. For Casa Sandoval residents who possess a love of the theatre, the nearby Douglas Morrison Theatre delivers live performances of old standards and new favorites. Residents come first at Casa Sandoval. A series of social activities are hosted onsite in an effort to promote strong physical and emotional health. Other key amenities include housekeeping and laundry services, dining facilities, free transportation for medical appointments and errands to assist residents in maintaining a regular routine without daily hassles. As a means for residents to make new friends, weekly social gatherings are presented on site at Casa Sandoval, with many educational and volunteer opportunities also available to accommodate a wide range of interests. The ownership and management of Casa Sandoval ensures the wellbeing of its residents by hiring only caregivers who will provide excellent medical care with an emphasis on service. A dedicated staff of doctors, nurses and other specialists are available to offer speech, occupational and physical therapies. Also, a registered dietician is always on hand at Casa Sandoval to deliver tips and techniques for maintaining proper nutrition. The team at Casa Sandoval – including medical services, management staff and social directors – remains in constant communication with each other so that residents are fully supported. As a pioneer in its field, Casa Sandoval has received numerous awards and accolades, including the title of Best of the Bay in the category Retirement Community. These honors are a true indication that residents live in a warm, welcoming environment.